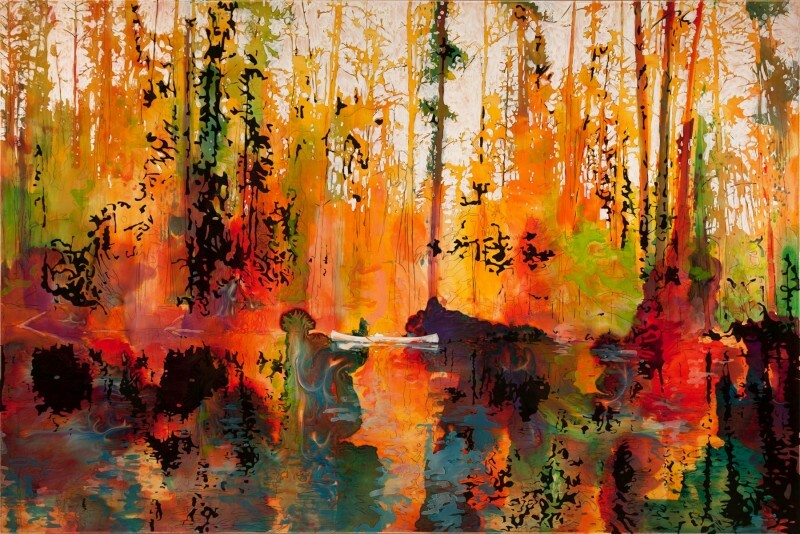 ANGELL GALLERY is pleased to present Bound in Shallows, a new suite of paintings by Toronto-based Steve Driscoll. 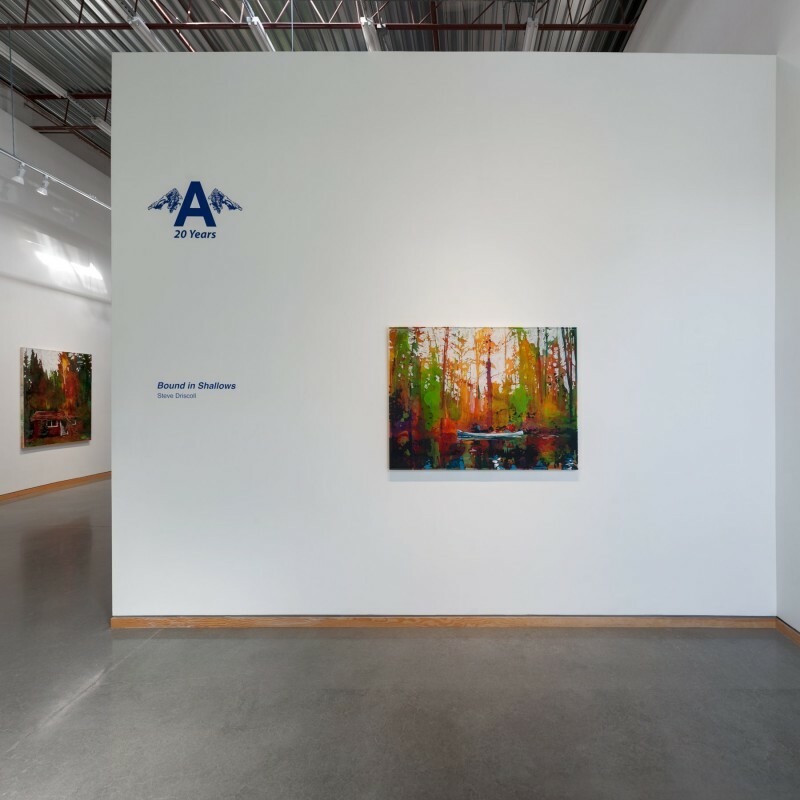 The exhibition marks Driscoll's first show at the gallery following his hugely successful exhibition at the McMichael Canadian Art Collection this past summer. 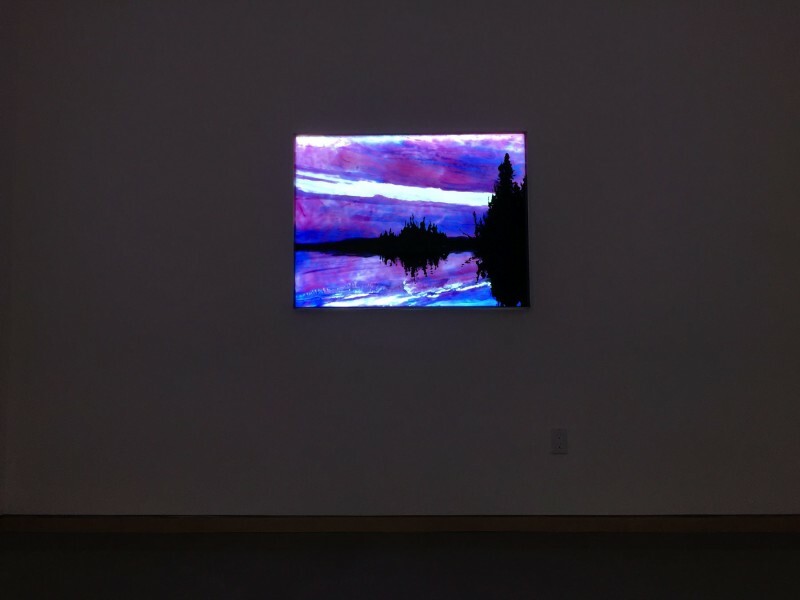 The exhibition runs from Friday, November 17 until Thursday, December 21. According to research, one of the most effective cures for "cabin fever" - a condition marked by restlessness, anxiety and boredom - is to interact with nature. 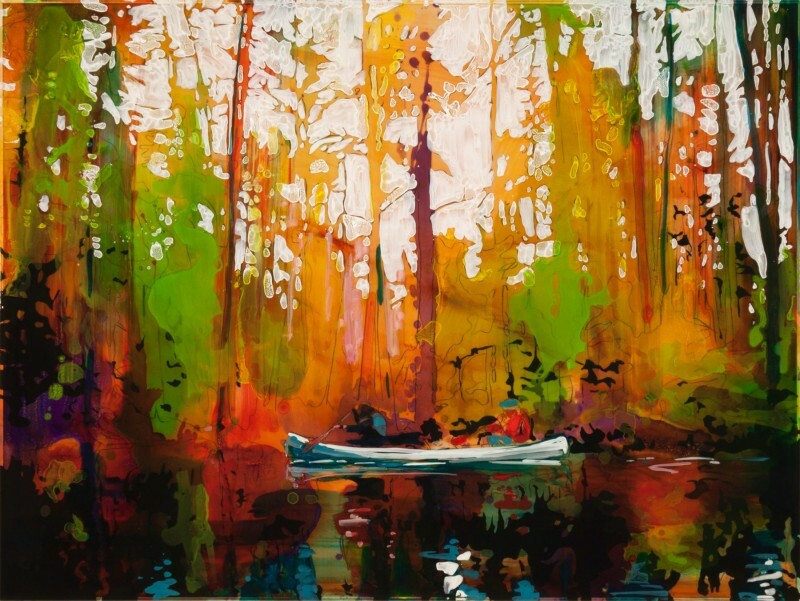 As an avid outdoorsman, Toronto-based painter Steve Driscoll doesn't suffer from such afflictions. 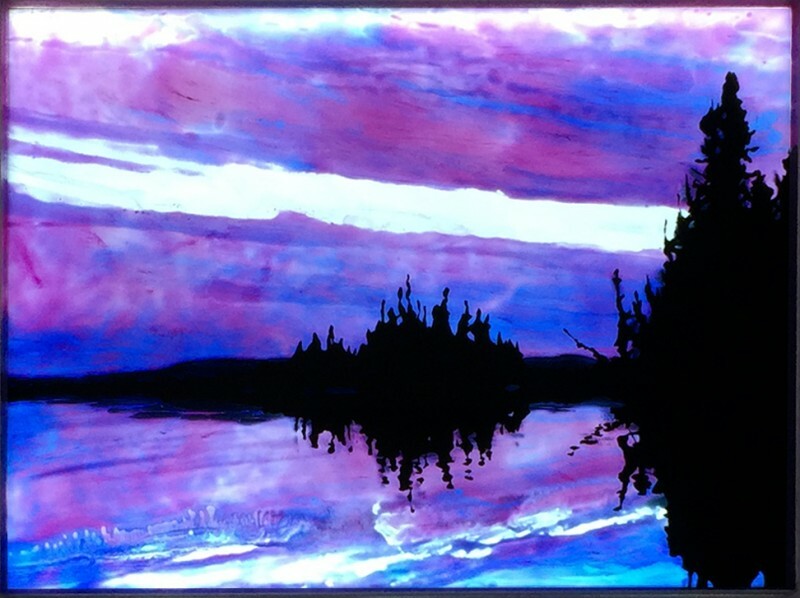 In fact, an excursion to a remote part of northern Ontario earlier this year resulted in a return of human presences in his new paintings. While portaging in the region of Elliot Lake, Driscoll came upon an abandoned fishing and hunting resort on Megisan Lake. Built in the 1950s, and shuttered in the mid-90s, the resort was only accessible by plane or boat. "It was spooky," says Driscoll. "The cabins still contain books, toys, dishes in the cabinets, tools in the closets, all left behind by tenants who didn't want to transport everything back to the mainland. But, it feels as if everyone mysteriously disappeared." 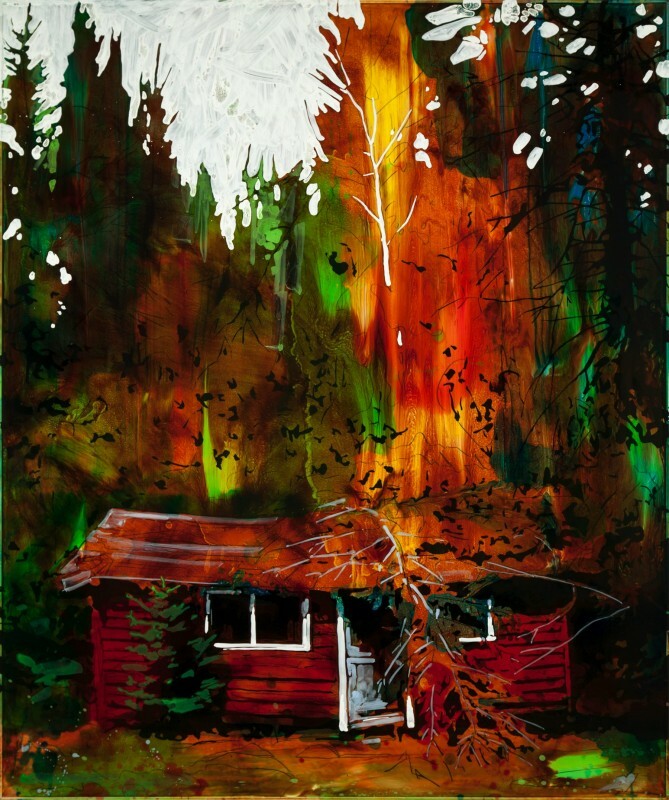 The cabin motif adds a thematic richness to the artist's already visually rich paintings. Two themes in these paintings are time's passage and 'gravity.' Captured in the process of returning to nature, the dilapidated cabins commemorate a brief moment in the landscape's history when it was welcoming to humans. 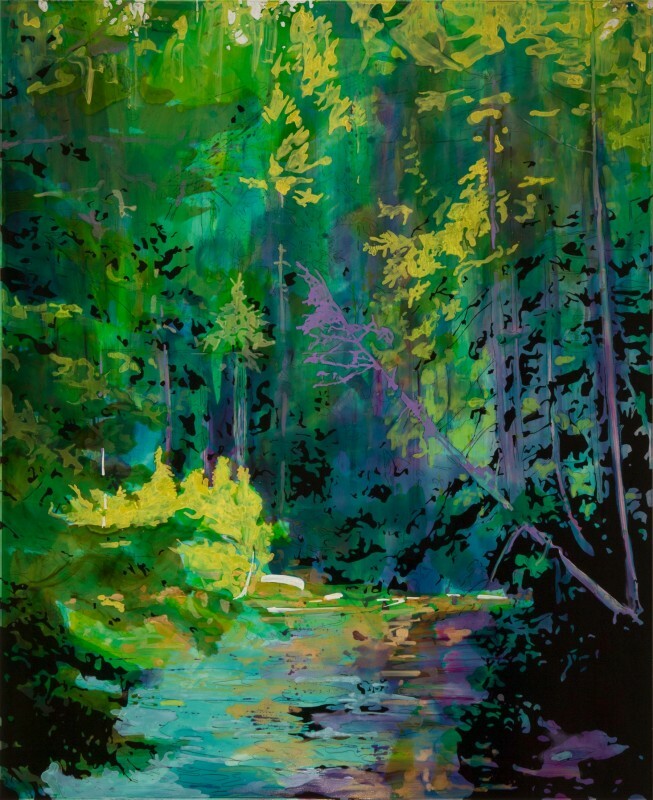 Those versant in the Group of Seven may also recall member J.E.H MacDonald's description of northern Ontario as "the original site of the Garden of Eden", suggesting nature possesses a deeper, timeless spirituality from which humanity has become disconnected. 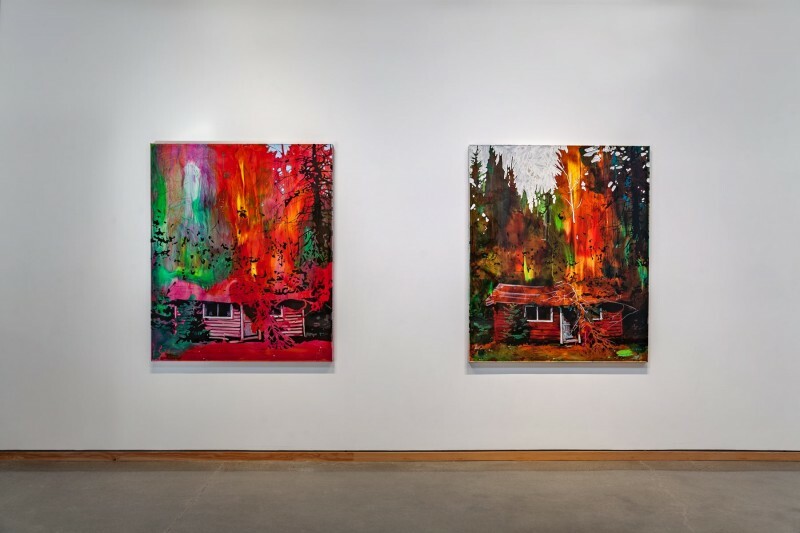 Rendered in Driscoll's trademark medium of urethane combined with skillfully manipulated oil paint, the cabins express the burden not only of time's passage, but the physical weight of their surroundings. 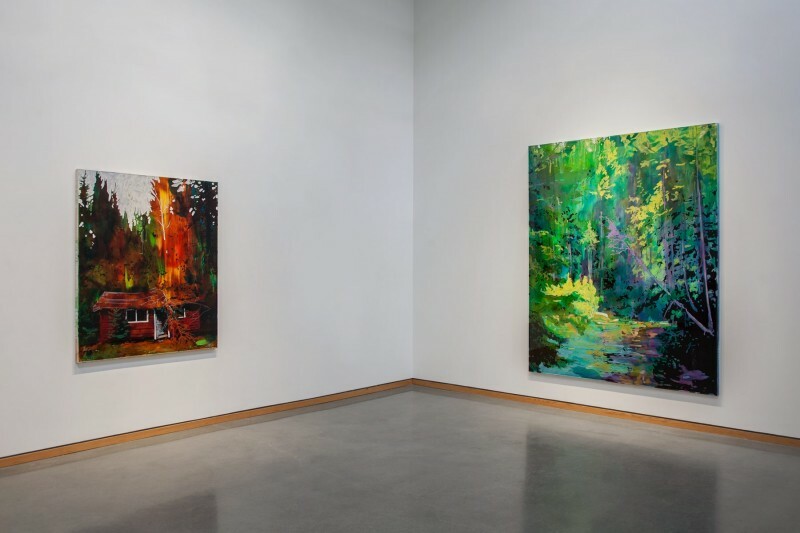 "I want to convey natural forces, like gravity, at work, both in terms of how painting materials behave, and in the settings of the paintings," Driscoll explains. 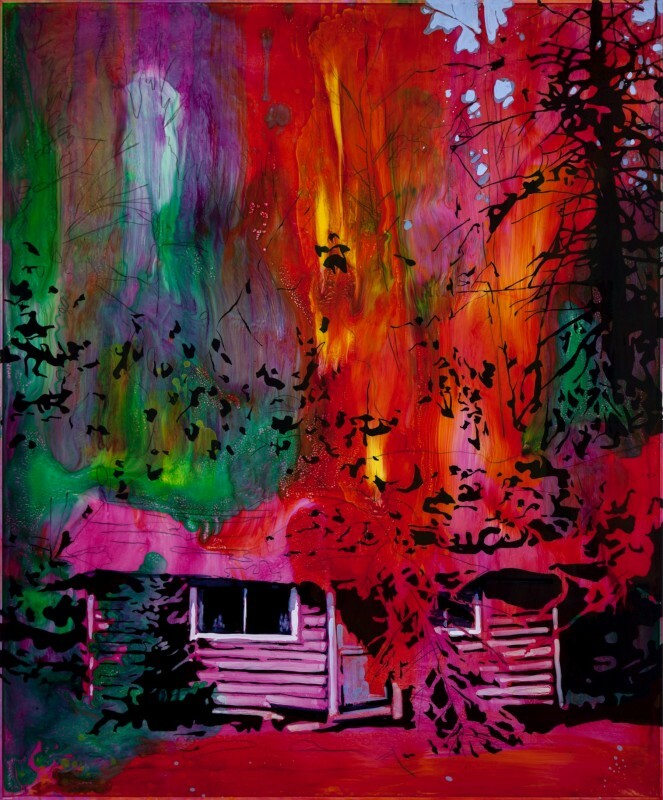 For example, in Found Things Others Had Lost (above), pigments pool into what the artist calls "vortices", the panel bowing under gravity and the weight of the materials, blooming into prisms of colour. Elsewhere, the cabin in Not Long for this Earth feels the literal pull of gravity as a fallen tree slowly crushes its roof. 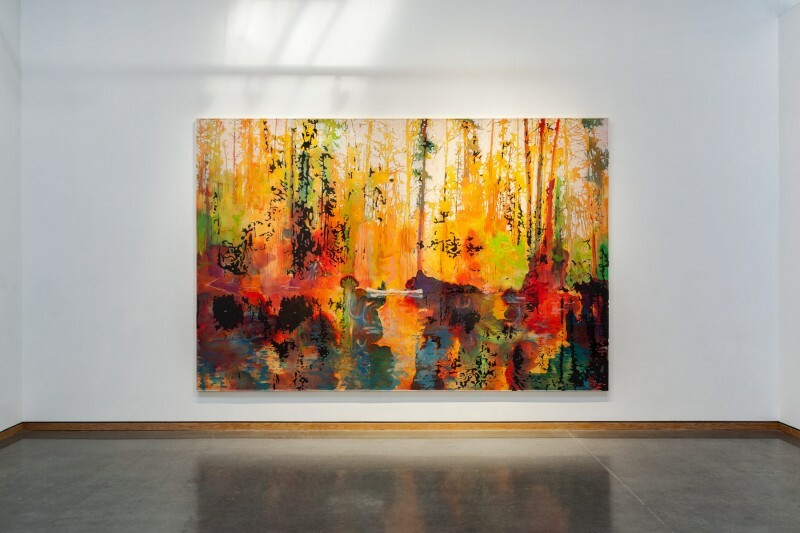 Driscoll's paintings can be seen as part of a North American and European Transcendentalist tradition, but he doesn't see them as Edenic idylls; rather, they remind us of some hard truths. "You sometimes feel small, moving through this big world," he says, pensively. "And, when our time here is done, nature will reclaim everything."